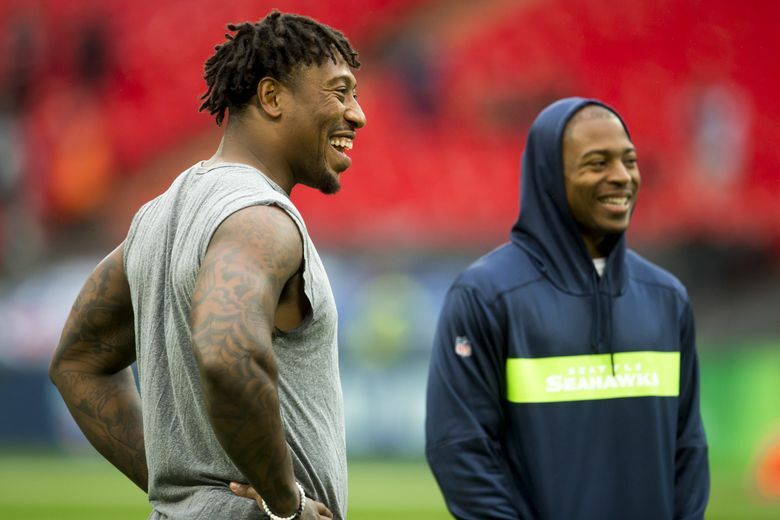 Takeaways from Pete Carroll’s radio show: Could Bruce Irvin be an option for Seahawks? The former Seahawk first-round pick could be an option for Seattle if he clears waivers Monday. Could the Seahawks have interest in a reunion with Bruce Irvin? Seattle coach Pete Carroll addressed that and a few other topics during his weekly day-after-game radio show on ESPN 710 Seattle. COULD BRUCE IRVIN RETURN TO SEATTLE? Irvin, Seattle’s first-round pick in 2012 and a member of the Seahawks for four seasons, was waived by the Raiders on Saturday. That means any team can now claim Irvin, with the priority going in what would be the current order of the draft (meaning, the teams at the bottom of the standings have first choice, etc.). It’s not expected Irvin will be claimed since a team would have to take on the rest of his $8 million salary. But should he go unclaimed then he is a free agent and can sign wherever he wants and for whatever a team wants to pay him. (It should become clear later today if Irvin has cleared waivers). Seattle can use some pass rush help, as was evident in Sunday’s loss to the Chargers. Irvin had three sacks in eight games with the Raiders this season. Carroll had nothing new on the status of the three players who departed Sunday’s game with injuries — running back Chris Carson (hip), safety Bradley McDougald (knee) and offensive lineman D.J. Fluker (calf). Somewhat ominously, all have been dealing with those injuries in recent weeks, with Carson and McDougald listed as questionable heading into the game. Seattle also now has to navigate two games in 11 days with a Thursday nighter next week against Green Bay. Joey Hunt replaced Fluker and played 25 snaps while Mike Davis and Rashaad Penny handled the rest of the running duties with Carson out, and Delano Hill replaced McDougald, also playing 25 snaps. Seattle could get J.D. McKissic back this week to help the running back depth. He has been on Injured Reserve since the beginning of the season with a fractured foot. Seattle would have to make a roster move to get McKissic on the 53-man for Sunday’s game against the Rams (Seattle would also have to make a move to add Irvin). Penny played 12 snaps and had 11 yards on four carries and now has 146 yards on 42 carries for the season, an average of 3.5 (Carson is at 4.5 and Davis at 4.3). “I think he’s still just feeling his way,’’ Carroll said of Penny. Carroll had said after the game Sunday he needed to see the replay to offer an opinion of the last play of the game. Monday, he said the tape made clear that Chargers safety Jahleel Addae tipped the ball just enough to make it hard for Moore to control. Seattle was forced back to the six due to a penalty for a false start on J.R. Sweezy. Well, there was no way Russell Wilson was going to have a perfect passer rating again, after doing so for the first time in Seahawks history the week before at Detroit. But Wilson needed to be better than he was on Sunday against the Chargers, the way Carroll saw it, as he was sacked four times, threw a pick six in the fourth quarter and also missed a few open throws, notably to Jaron Brown for a possible touchdown in the third quarter. Seattle had only one pass of longer than 14 yards, a 42-yarder to Doug Baldwin.